There are two versions of the origin of the name "Luxembourg". The most accepted version is that the name of the fortress Lyutsilinburhuk (Lucilinburch) has a Germanic origin and means "small castle" or "little castle". The second version connects the name with the name of the leader of the Romans who captured the Celtic fortress - Lucius (or Lyutsilius). Later, the name of the fortress has transformed into Lyuttsemburg and Lyuttselburg (Lutzelburg), and Lettseburg. Under the emperor Gallienus (253-268) the fortress was built on the site of Luxembourg. It is also known that in 738 of Lyutsilinburh was donated by Charles Martel the Abbey of Trier. In 963, Siegfried, one of the descendants of Charlemagne, erected a fortress on the steep cliffs that rise above the river Alzette. On the northern outskirts of Luxembourg dangerously close to the edge of the gorge are the squat, untouched by time and beaten with buckshot ancient ramparts of the fortress. 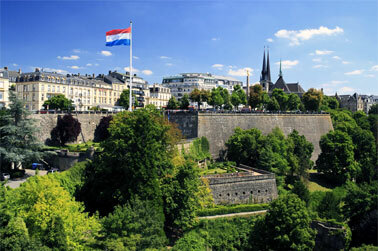 This citadel became the core of the medieval town and the generic socket Luxembourg graphs. In 1244 settlement received municipal rights. Fortress acquired new bastions, and the city grew, despite the constant attacks of the enemy. Merchant caravans moved through the narrow bridges, the city suffered a wave of invasions: the Roman legions, the Germanic tribes, the army of the Prussian Kaiser, French, Spanish kings, the Flemish and Walloon troops. Marshal Vauban, who took the city in 1684, made it one of the strongest fortresses in Europe, known as the "Gibraltar of the North". Now his former luxurious property Villa Vauban is turned into the museum. Today in Luxembourg, banks and public institutions harmoniously stand along high-rise buildings with ancient tiny streets, gardens and parks. Upper (old) city is limited to the south and west by the rivers Alzette and Petrus, and from the north and east by the city park, which is a favourite vacation spot of locals and visitors. Central Square Constitution Square (Place de la Constitution) colloquially referred to as "Gelle Fra» (Gelle Fra), which means "Golden Lady". In memory of the heroes who died for their country, on the square there is a memorial column topped by a gilded figure with a wreath in the hands. 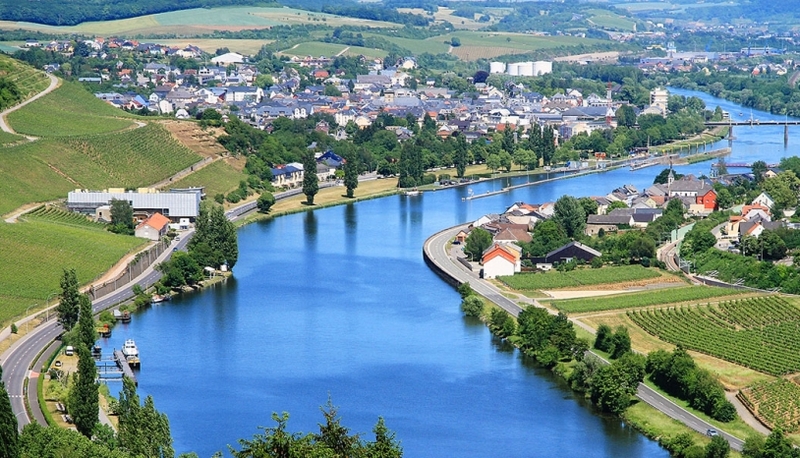 Numerous bridges over the river Alzette and Petrus emphasize the charm of the city. With the railway bridge, repeating the proportions of Roman aqueducts - Adolphe Bridge (Font Adolphe, 1900, 46 m high, 211 m long) and the old viaduct (1859) it offers a beautiful view of the park complex in the Petrus Valley, reachable at wide staircase. Among the main attractions of the Upper Town there are rock Chapel of St. Kieren (6 and 15 cc.) and Renaissance Justice Palace (16 in.) The spacious Baroque cathedral of Notre Dame (Cathedrale Notre-Dame) is a rich baroque temple with choruses full of Moorish style elements. In the southern part of the church, rebuilt in the 1930s, there is especially revered image of Our Lady - comforter of mourners, the patron saint of the city. By the way on a third and fourth week after Easter the church pilgrimages hundreds of people. Two bronze lions guard the entrance to the crypt and the tomb of the Great Dukes. Near the cathedral a Renaissance palace with three wings, - a former Jesuit College (Jesuitenkolleg) - houses the National Library. On the opposite side stands the old Trier Abbey of St. Maximin. It is a powerful stone building (1751). Behind it there is a cozy and charming Klerfonten (Place Clairefontaine), decorated with a statue of Grand Duchess Charlotte. It offers scenic views of the cathedral.